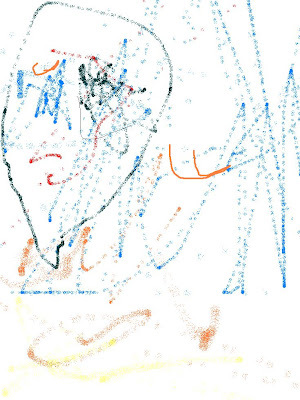 My little son 3.25 years old Surya's scribbling on the paint brush programme turned out to be a memorable image for my blog. Just blogging it so that i could recall it to him when he learns blogging. But who knows, blogging may cease and some other technology may enter this tech world.